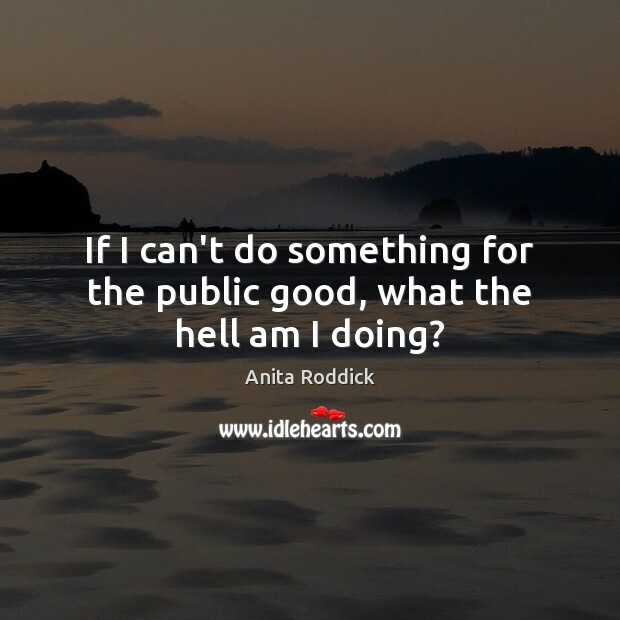 Enjoy the best inspirational, motivational, positive, funny and famous quotes by Anita Roddick. Use words and picture quotations to push forward and inspire you keep going in life! Let me tell you how the French seduce you. They are the most bloody seductive people on Earth. They are charming, they are well-mannered and they praise and flatter you. The beauty and the fashion industry want to control you. And the way that they do it through your body. 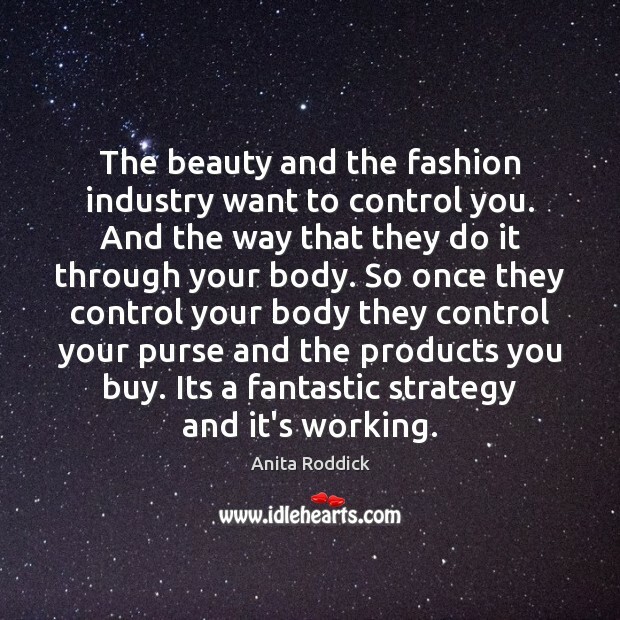 So once they control your body they control your purse and the products you buy. Its a fantastic strategy and it's working. 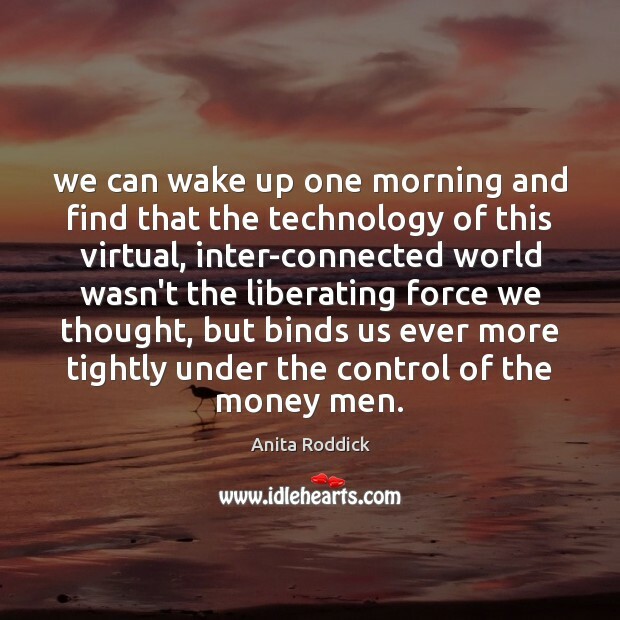 we can wake up one morning and find that the technology of this virtual, inter-connected world wasn't the liberating force we thought, but binds us ever more tightly under the control of the money men. 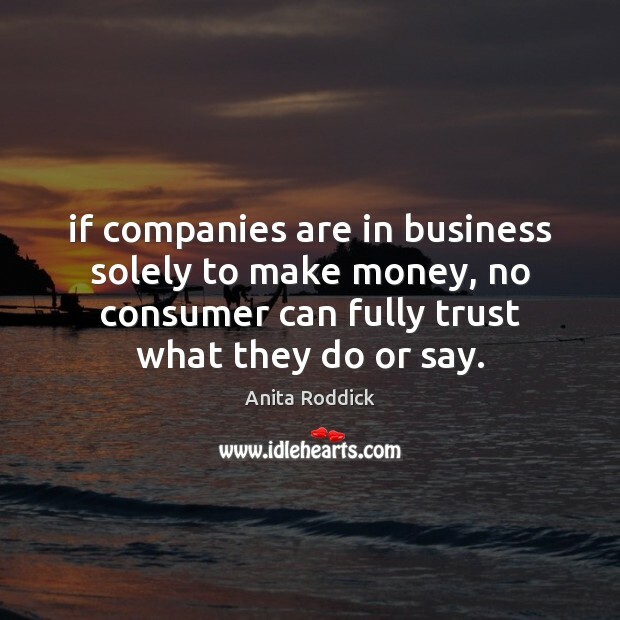 if companies are in business solely to make money, no consumer can fully trust what they do or say. 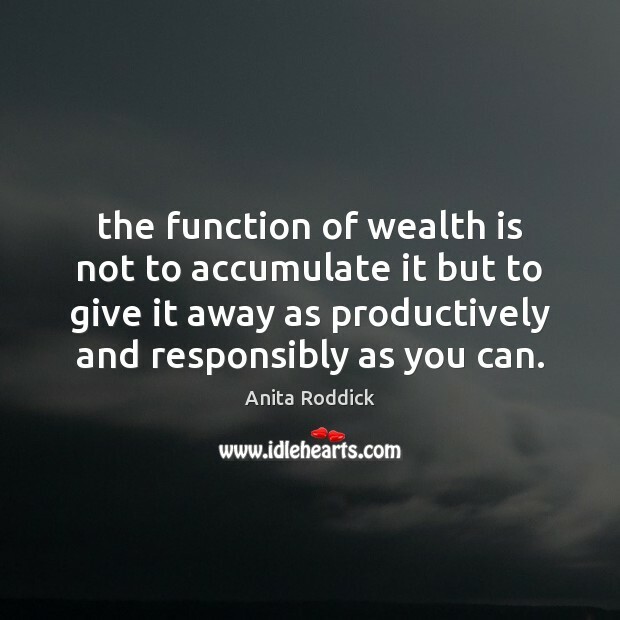 the function of wealth is not to accumulate it but to give it away as productively and responsibly as you can. 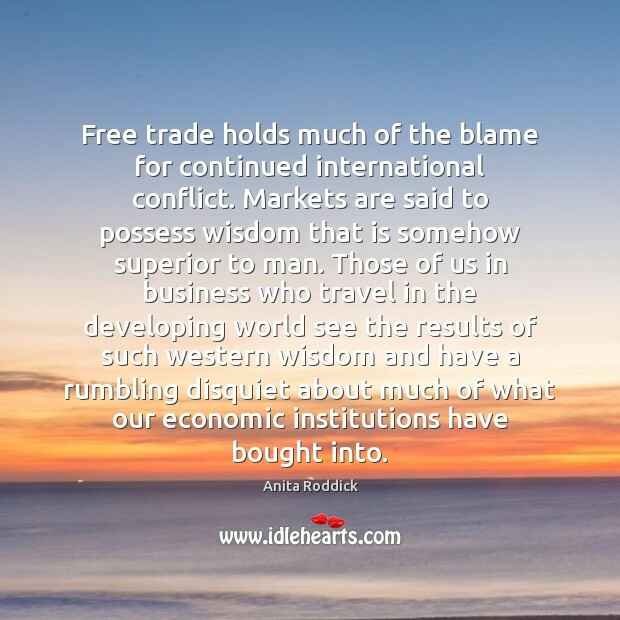 Free trade holds much of the blame for continued international conflict. Markets are said to possess wisdom that is somehow superior to man. Those of us in business who travel in the developing world see the results of such western wisdom and have a rumbling disquiet about much of what our economic institutions have bought into. 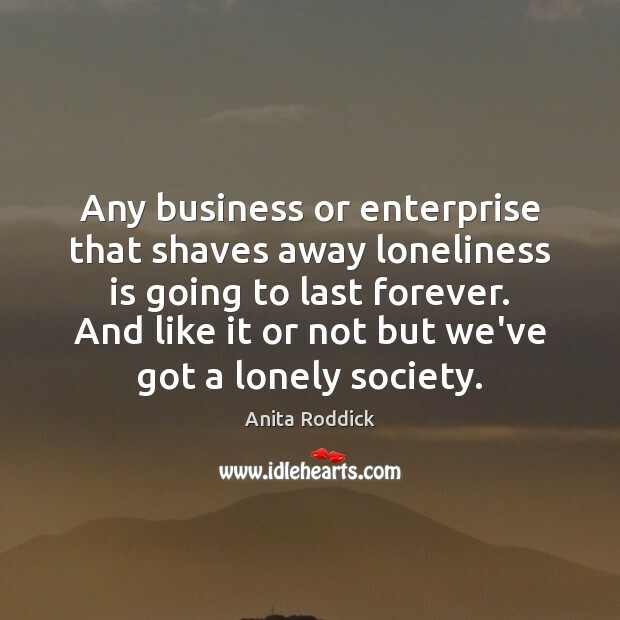 Any business or enterprise that shaves away loneliness is going to last forever. And like it or not but we've got a lonely society. 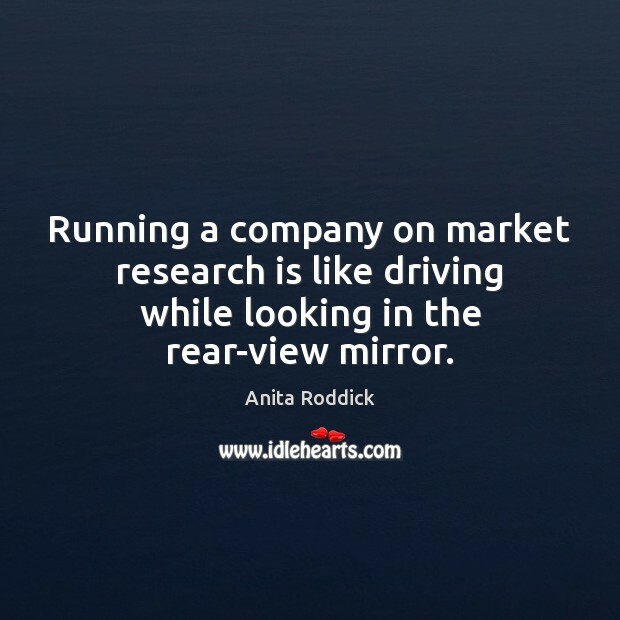 Running a company on market research is like driving while looking in the rear-view mirror. 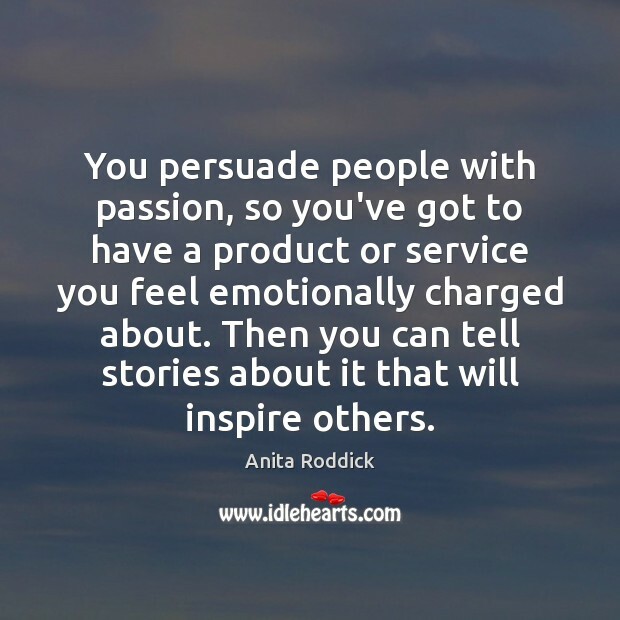 You persuade people with passion, so you've got to have a product or service you feel emotionally charged about. 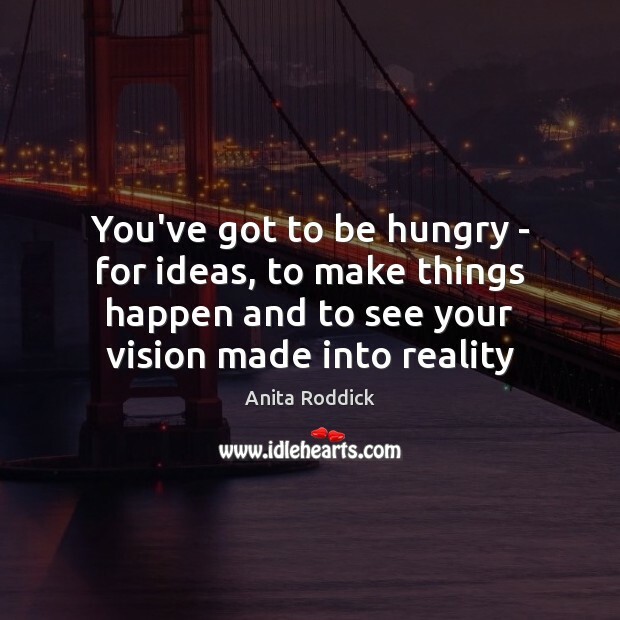 Then you can tell stories about it that will inspire others. 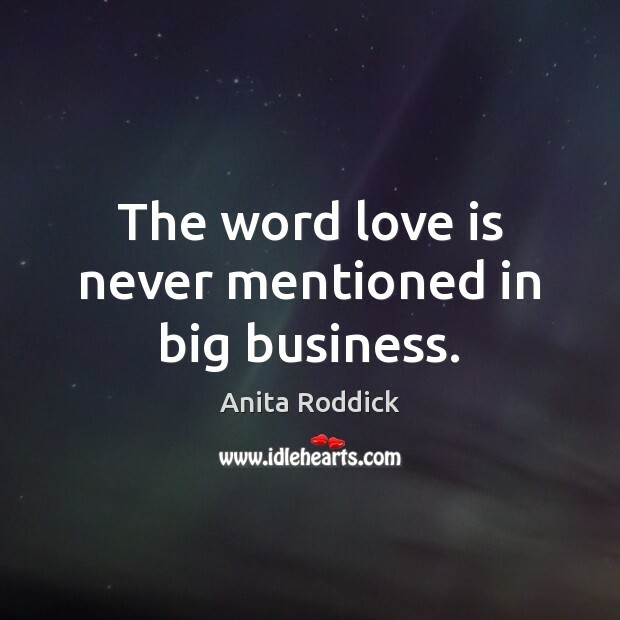 The word love is never mentioned in big business. 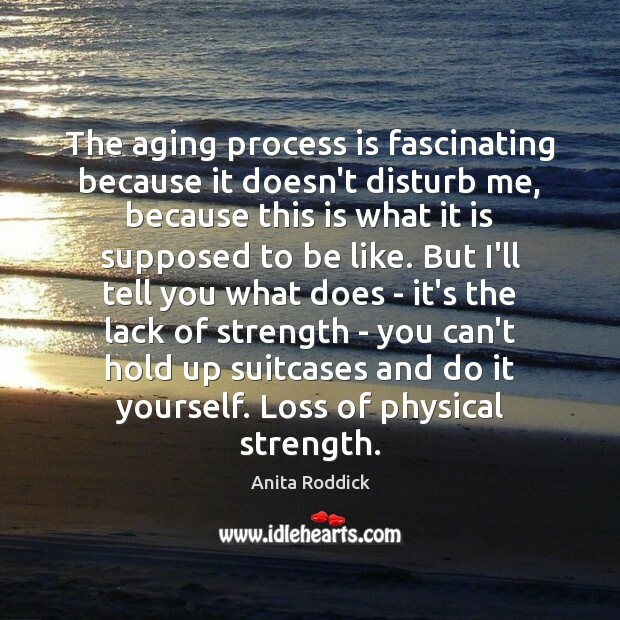 The aging process is fascinating because it doesn't disturb me, because this is what it is supposed to be like. But I'll tell you what does - it's the lack of strength - you can't hold up suitcases and do it yourself. Loss of physical strength. 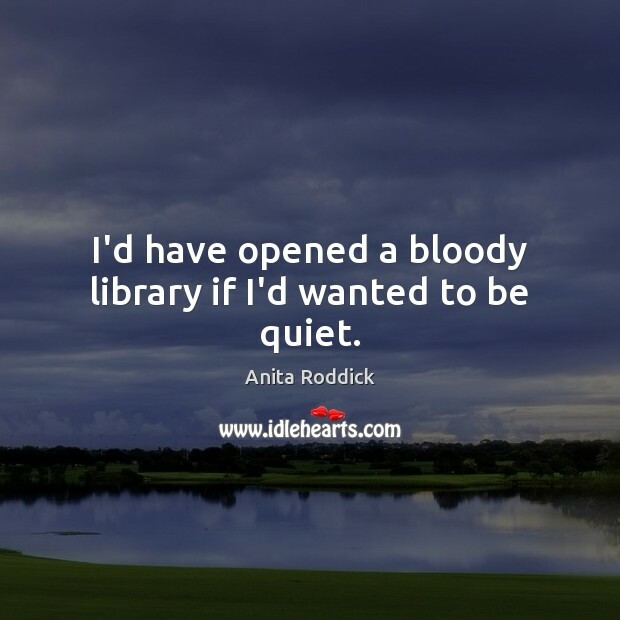 I'd have opened a bloody library if I'd wanted to be quiet. 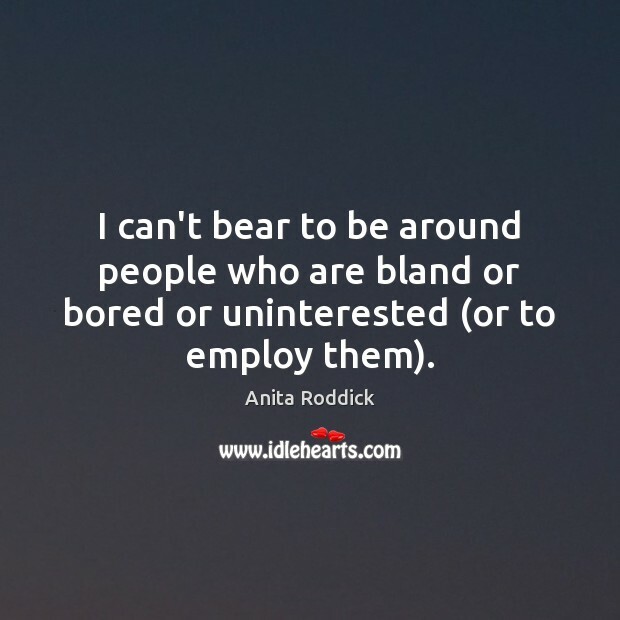 I can't bear to be around people who are bland or bored or uninterested (or to employ them). 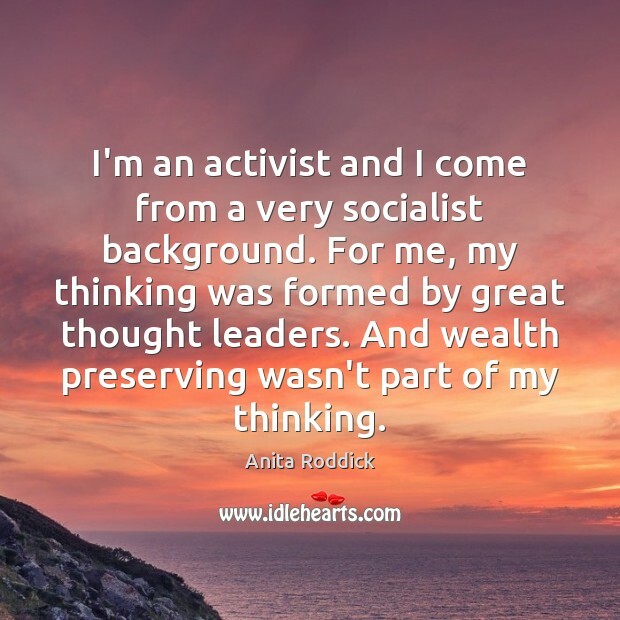 I'm an activist and I come from a very socialist background. For me, my thinking was formed by great thought leaders. And wealth preserving wasn't part of my thinking. 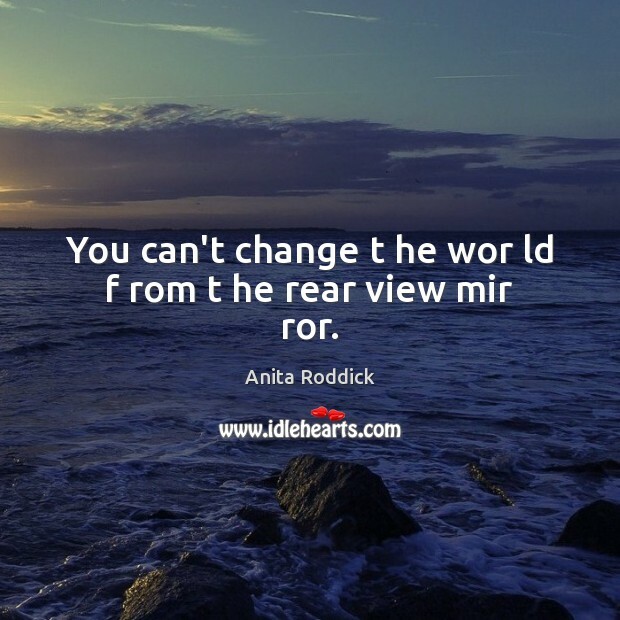 You can't change t he wor ld f rom t he rear view mir ror.